Today Óscar Romero (1917–1980) will be named a saint by the Catholic Church. As Archbishop of San Salvador for the last four years of his life, Romero was a strong, public voice for the many voiceless and anonymous poor of El Salvador and Latin America. When he preached in the cathedral on Sunday mornings, I’m told that the streets were empty and all the radios where on full volume, to hear truth and sanity in an insane and corrupt world. The next day, following his sermon, a U.S.-supported government hit squad shot him through his heart as he stood at the altar. Romero’s epitaph reads “Sentir con la Iglesia” (“To be of one mind and heart with the Church”); these words were his episcopal motto, his promise to share the suffering and strength of the people he served. Watch Father Richard’s reflection on Óscar Romero in this 3-minute video. 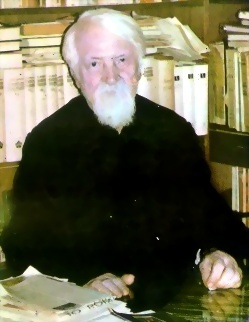 Dumitru Staniloae (1903-1993) has been one of the most creative Orthodox theologians of the twentieth century, yet one of the least known. His theological vision is a majestic combination of Florovsky’s’ neopatristic epistemology, philocalic wisdom, and Romanian folkloric elements. Still, Staniloae never shone away from engaging with Western theology and philosophy whether critical or constructive. 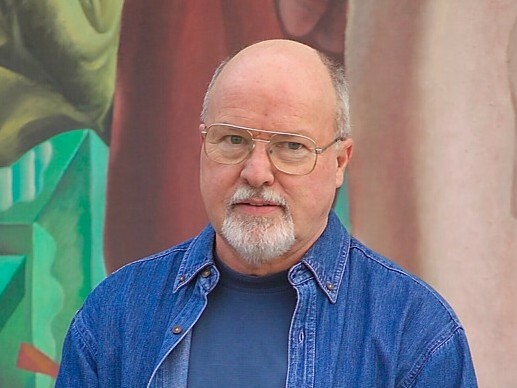 His theological ediﬁce bears the marks of his encounters with Karl Rahner, Martin Buber, Karl Barth or Paul Tillich. This panel seeks to uncover the signiﬁcance of these interactions for Staniloae’s thinking. Was Staniloae a faithful reader of Western theology and philosophy? To what extent was he inﬂuenced by theological debates in Roman Catholicism or Protestantism, especially Vatican II? How was Staniloae’s interpretation of the Fathers impacted by the trends of Western historical criticism? How did the ecumenical interactions shape his understanding of Orthodox theology? Being made in the image and likeness of the Creator isn’t about “getting it right” or rationally understanding God. Jesus taught us that being “perfect even as our heavenly Father is perfect” (Matthew 5:48) is more about loving than having correct beliefs or following the rules. How do we grow into such loving likeness? Urmărind în ziua de Crăciun transmisiunea de la Vatican a mesajului papal urbi et orbi din ziua Crăciunului 2017, care este întotdeauna emoționantă pentru mine (ce să facem, vor spune unii, „un ecumenist va fi întotdeauna un ecumenist!”; la care eu răspund: „amin!”), mi-am adus aminte de un alt Crăciun, de acum exact 44 de ani. În decembrie 1973 mă aflam într-o unitate militară la Vânju Mare, în Mehedinți, unde făceam armata la termen redus, la intendență, înainte de începerea studiilor universitare economice. Tocmai împlinisem 19 ani. Cele opt luni petrecute acolo au reprezentat una dintre cele mai dificile perioade din viața mea. A prophet is one who keeps God free for people and who keeps people free for God. Both of these are much needed and vital tasks. God has been imprisoned and made inaccessible, and far too many people have been shamed and taught guilt to keep us clergy in business. Our job became “sin management.” Sadly the laity bought into this negative story line. That is what happens when priests are not informed by prophets. The priestly class invariably makes God less accessible instead of more so, “neither entering yourselves nor letting others enter in,” as Jesus says (Matthew 23:13). For the sake of our own job security, the priestly message is often: “You can only come to God through us, by doing the right rituals, obeying the rules, and believing the right doctrines.” This is like telling God who God is allowed to love! The clergy and religious leaders, unintentionally perhaps, teach their disciples “learned helplessness.” Thus the prophets spend much of their time destroying and dismissing these barriers and trying to create “a straight highway to God” (Matthew 3:3). Both John the Baptist and Jesus tried to free God for the people, and it got them killed. In case you wondered what Fr Rohr thinks about the Cross (I know my dear friend Eugen Matei does). This spells it out a bit.